Photographer: Jeff Tse. Model(s): Taylor (Silent Models). Makeup: Daniella (Workgroup) / Shalom (Artists by Timothy Priano). 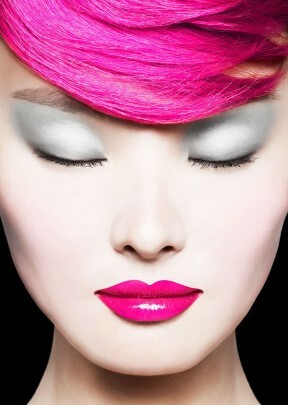 Trends were never so tasty, Taylor looks good enough to eat in ‘Candy Beauty’ by Jeff Tse. 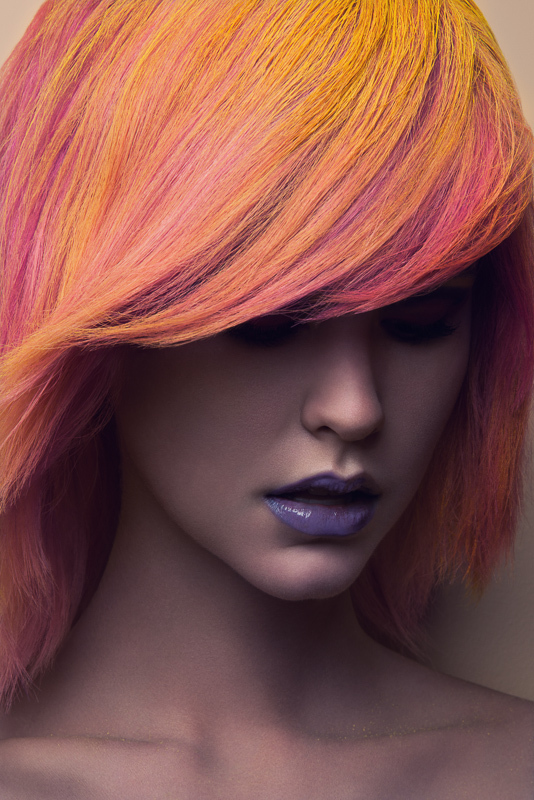 Standing at the dawn of a New Color Revolution we watch as the art of beauty delivers an exciting new concept of modern color. Something powerful is afoot here, shades of change are happening right in front of our eyes. Pastel painted hair with tinted brows to match may sound extreme, but Tse and his crew are here to illustrate how pop inspired beauty is making it’s way from the pages of print to the mindset of the mainstream. 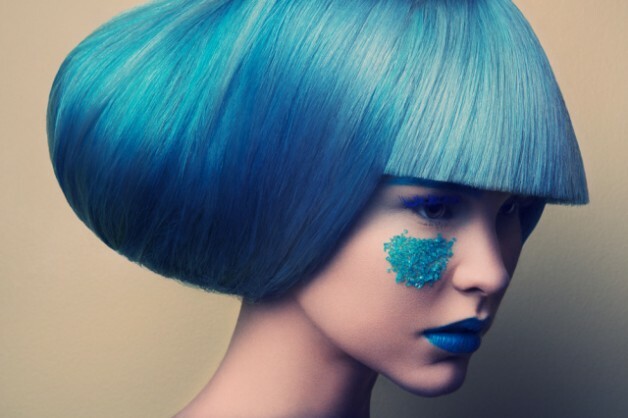 Baring out the beauty of blue, makeup/hair artists Daniella & Shalom (respectively) show us how these non-traditional colors can work together, forming a new vision of fashion forward style. In the past bright hues have been dealt with as if they were creative art projects, done with a heavy hand and over-the-top execution. What makes this process unique is the approach. By applying the same techniques you would use for your everyday color, the end result can be strangely sophisticated and appear oddly natural. Where you would expect to be thrown off by the placement of purple, orange, pink or blue, when done right, blends in seamlessly. It’s all in the mind. As our culture has become more diverse we have become more open to the idea of what constitutes beauty. And with this acceptance a new breed of color, shape, style and form has started to replace what society has always considered “the norm.” I have been predicting that it’s just a matter of time before changing the color of your brows will be as common as changing your eye-shadow. And while it may seem subtle, the shift that’s happening is dramatic. Each season may bring a new revelation in color, but it takes a total evolution to incite a real revolution. Source (fashiongonerogue).